Our goal is to exceed your expectations. Whether you are seeking plastic surgery for cosmetic or reconstructive needs, you can count on Criswell & Criswell Plastic Surgery for meticulous attention to detail, individualized care, and unsurpassed surgical expertise. One of the most life-changing procedures we perform is reconstructive breast surgery. Discerning patients from all over North Carolina and South Carolina seek breast reconstruction at Criswell & Criswell to restore the natural look and feel of their breasts, often after undergoing mastectomies from breast cancer. No doubt, reconstructive breast surgery is one of the most rewarding services our practice provides. 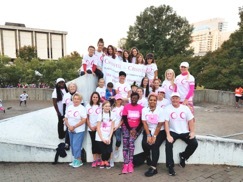 Witnessing firsthand the journey of brave breast cancer survivors fuels our determination to make their experience amazing by offering only the highest quality reconstructive surgery. We understand that the decision whether to undergo breast reconstruction can be a difficult one. With careful consideration, we will help you choose a reconstructive plan that meets your specific goals. Breast reconstruction often involves multiple procedures performed over many months. For more information on breast reconstructive surgery, call us for a consultation at 704.424.5050.